When you wear one of the items from the Cap Love Tuesdays (CLT) apparel collection, you’re not only demonstrating good fashion sense, but you are also helping students in need. 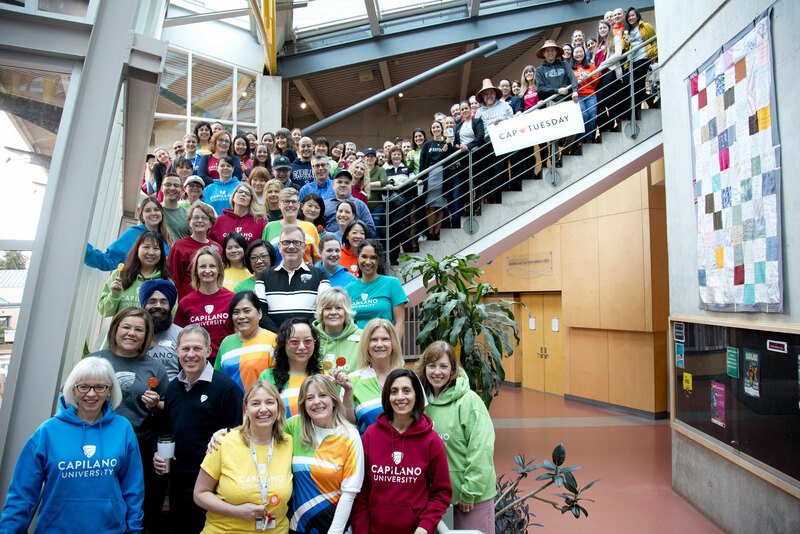 To date, over 1,000 items of CLT wear have sold at Capilano University’s bookstore, and with 5 per cent of sales from these items going to CapU’s student bursary fund, that means so far more than $1,200 has been raised. You may be wondering who the students are that receive financial assistance through CapU’s bursary fund. Take Maryke Peter, who is a fourth-year student in CapU’s Bachelor of Legal Studies program. As a single mom and full-time student, Peter notes “I wouldn’t have been able to pursue my education goals without the bursary.” Peter is the primary caregiver to her son, and would not have been able to afford going back to school full-time while also enrolling her child in daycare. When Peter graduates in 2019, she will go on to do a six-month practicum at a law firm, and plans on applying for law school. Student bursaries can make a huge difference to some students by enabling them to complete their degrees and go on to bigger, better things. We salute everyone who has purchased some CLT gear and helped support this worthy cause. If you haven’t picked up a CLT item yet, there’s still time, as our 50th anniversary year runs through until June 2019. Get your Cap Love Tuesdays gear in our online shop.